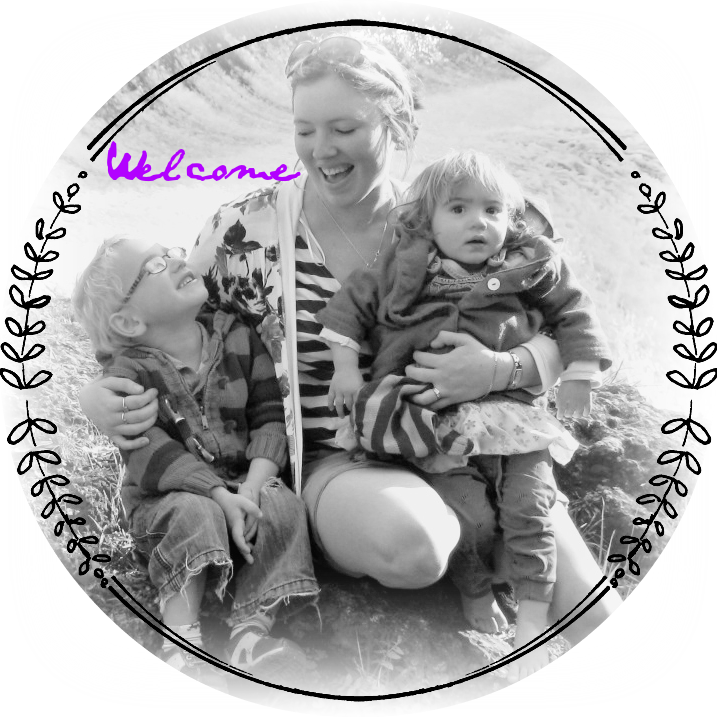 Today I’m joining in with the Little Kiwi's Closet Bow Back Beauty Blog Hop. It’s no secret that I love Little Kiwi's Closet Patterns. But really, this pattern is beautiful. I do love my little girl in a peplum top, but the really beauty in this design is the bow design at the back! 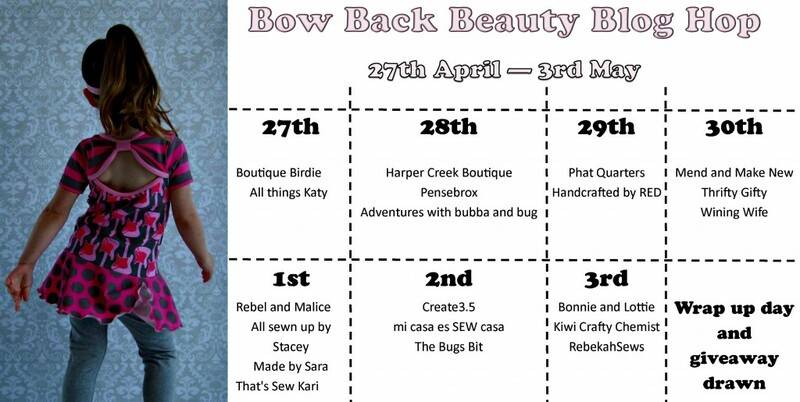 The Bow Back Beauty is an extremely versatile pattern. The size range is from Newborn – 12 years and can be made as a onesie (in sizes NB – 4 years), a peplum top (either with the peplum beginning at the natural waist, as I've done - or lower on the hip), a high low top or a dress! Of course there are 3 sleeve options too (sleeveless, short sleeved and long sleeved) and you can also omit the bow and leave the back plain if you wish. Apart from the bow, the key features of the design are the envelope neck and pretty binding. The envelope neck is both practical (especially when dealing with big headed babies) and beautiful and binding method is not one I've used before, but I really love the finish... and it's easy too - Lydia steps you right through it in the tutorial. For my version I made a peplum top (on the natural waist) with short sleeves in size 4 for my little 4 year old. The pattern is designed to be fitting and I think the fit is spot on! I used a re-purposed adults T-shirt for the bodice and sleeves. Despite looking black and white stripe in the pics I can assure you it's navy... and there a little lines of gold through the stripes too as you can see in the last pic above. I paired this with some lovely drapey floral knit I can in my stash and I love it! Stripes and floral are such a classic combo! 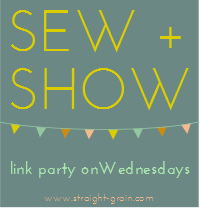 Make sure you snap up a copy of this pattern OR enter to win you own copy below... and make sure you check out the other bloggers part of this blog hop - see schedule at the end of this post. Those fabrics are gorgeous together! Agree with Stacey. I just love your fabrics!